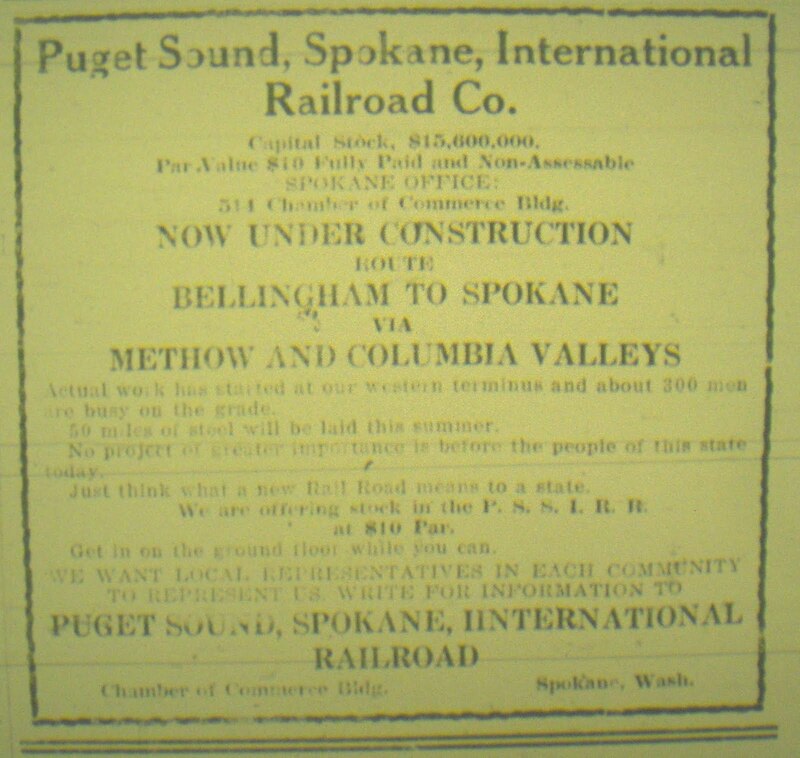 Puget Sound, Spokane, International Railroad Co? The 1990s were busy for railroads, nationally and in Grant County. Consolidations of large roads continued, as well as continued reduction in miles of track operated by those same large roads. Railroads look to mergers to help promote their competitive position in relationship to other railroads and trucking companies. As a product of mergers, the Burlington Northern had most of its respective lines put together and was looking around for ways to stay ahead of its closest rival, the Union Pacific. In order to do so, BN looked for another railroad that would compliment its traffic base, and not need too much government interference to make it work. On June 30, 1994, the Burlington Northern and the Atchison Topeka & Santa Fe announced plans to merge; they were respectively the largest and smallest by mileage of the "Super Seven," the largest of the then-twelve U.S. Class I railroads. The two systems complemented each other with little overlap. The BN had a major source of traffic in its coal lines out of Wyoming, and the Santa Fe had the best intermodal program of any line. After much wrangling with the Union Pacific for the Santa Fe, BN bought the Santa Fe, and on September 22, 1995, the railroad’s holding companies merged. On December 31, 1996, the railroads were combined as the Burlington Northern and Santa Fe Railway (BNSF). Both the Santa Fe and the BN had been ridding themselves of branchlines since 1980, with the Santa Fe side being much more aggressive with their removals. So now the combined road, the BNSF, looked hard at the remaining BN lines. A few of the remaining unprofitable lines in the Palouse were ripped up in the 1990s, along with the last remnant of the Northern Pacific Wahluke Branch between Mesa and Basin City in 1996. BNSF sold its Central Washington branch, which ran between Cheney and Coulee City, on September 19, 1996. The new shortline railroad which started operations on the line was called the Palouse River and Coulee City Railroad (PCC). The Palouse River part of the name was for another BNSF line that it purchased at the same time. A section of line that the BN had sold back in 1986 was purchased back by the BNSF, and then turned over to a new shortline. The Washington Central (WCRC), which served the Moses Lake area, also operated a former Northern Pacific/Burlington Northern mainline from Kennewick through Yakima to Cle Elum. BNSF wanted it back, to add capacity to freight being transported from the west side of the state. BNSF bought the WCRC on December 4, 1996. Since the BNSF was not interested in operating the line to Moses Lake, it was turned over to the Columbia Basin Railway (CBRW), also on December 4, 1996, which was owned by the same people who had run the WCRC. No changes were made in day-to-day operations, because the same locomotives were used between the WCRC and CBRW. The BN had been an industry leader in the number of grain hopper cars it operated in the 1990s, and it looked to any source to increase its fleet. But there were still shortages. The BN/BNSF earned more money hauling grain from the Midwest to ports in the Pacific Northwest than they could through shorter-distance trips within Washington. This reduced the supply of empty grain cars for Eastern Washington grain shippers. The first “Washington Grain Train” was a joint effort between the Port of Walla Walla and the Washington State Department of Transportation. This train was purchased in 1994 with money Washington State received from the Washington State Energy Office. These federal funds came from money awarded to the government as a result of successful litigation against oil companies, who had overcharged consumers. The first train operated near Walla Walla, and generated enough revenue to pay for another train. The second train, serving the Moses Lake area, was unveiled in April 2000, and was established as a partnership between the State, the Port of Moses Lake, and wheat farmers in Grant and Adams Counties. There is now a third train operating in the Whitman County area. These cars are bright yellow in color, and the ones serving the Moses Lake area are lettered for the CBRW, along with the large Grain Train graphics. As the 1990s closed, major railroads were facing boom times and struggling to handle the traffic, but shortlines were facing a lack of traffic, and their decisions were to initiate major changes in the 2000s. "Meanwhile, the rumors and predictions of an ambitious extension of the SLS&E were coming to fruition despite the (money) troubles. 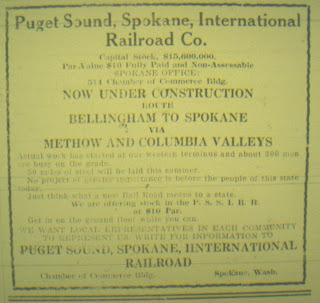 The "Seattle Daily Press" noted one day that the mayor of Spokane Falls and the secretary of the Walla Walla Board of Trade were in town to talk subsidies with the railroad for an extension to their cities. Burke had been carrying on an encouraging correspondence with a number of men in eastern Washington, assuring them that the SLS&E was their best hope for release from the monopoly operations of the Northern Pacific or Oregon Rail and Navigation Company. The new road would come their way, he said, as soon as those who were providing the "sinews of war" should give the signal. "Paul Mohr, the new general manager of the SLS&E had been a resident of Spokane for some time; he was therefore the logical choice to negotiate with the people there. He was carrying on this work during March and April, 1888, while Burke was busy harmonizing and explaining in the the quarrel between Gilman and the New York bankers. 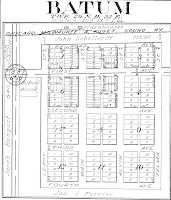 An arrangement was worked out by Mohr whereby the citizens of Spokane Falls pledged a subscription of $175,000 to the railroad's capital stock, in exchange for which the railroad people promised to begin construction from Spokane westward within thirty days..."
"...With the invasion of Spokane Falls, the SLS&E aroused to a more acute sense of peril powerful rival. This was to endanger their plans as much as were their current financial difficulties. The Northern Pacific had been caught napping when the SLS&E raised the Spokane subsidy and got control of desirable terminal properties there. 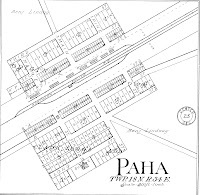 On his own initiative, the judge had threatened a Northern Pacific branch line, the Spokane and Northern, by putting a surveying party into the field and having a few graders put to work in strategic spots to hold them. This was on a route which would connect Spokane with the Canadian Pacific. Burke considered it the legitimate territory of their railroad and spent some $10,000 on this attempt to outmaneuver the Northern Pacific, but this project had to be abandoned. "Burke claimed that the Northern Pacific had been contemplating a drive for a subsidy from Spokane Falls which the SLS&E had successfully undercut. This may have been so, but the Northern Pacific had more important competitors at the time in the Oregon Rail and Navigation Company--backed by the Union Pacific--which was building a network of lines in the inland empire. "The bold action of the SLS&E compelled the attention of the Northern Pacific. It shook into life another subsidiary line, the Washington Central Railway, and began to match the Seattle road mile for mile on a parallel line westward from Spokane. The SLS&E built more than 40 miles of line out of Spokane in the summer of 1888 but was considerably harassed by the Northern Pacific. At one point, the Northern Pacific branch tried to appropriate the SLS&E roadbed but was enjoined by the courts on Burke's appeal and did not contest the matter. The Northern Pacific's activities in the Spokane country cannot have been reassuring to prospective bondholders of the Seattle promotion. "Most of the Seattle and Eastern Construction Company's remaining financial resources, in the summer of 1888, were used in building the cheaper mileage out of Spokane Falls. By December of that year, Burke said that the construction company had disbursed $525,000 on that part of the line and owed another $150,000 on the forty-five miles built that season." "The branch out of Spokane, until it covered a few hundred more miles, was simply a feeder for the Northern Pacific. What business there was along it was competed for by the Northern Pacific subsidiary, the Washington Central. In 1888, a line from Spokane to Coulee City was a dubious commercial venture." 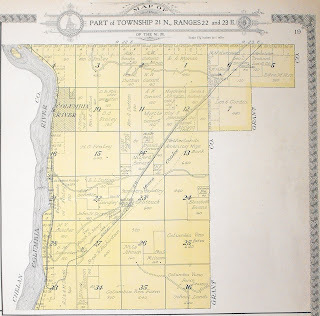 From the "1915 Standard Atlas of Douglas County." 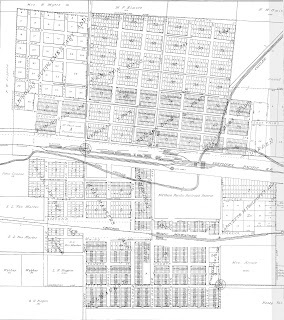 Note the little spot called "Moses Coulee Siding." Up to the point where the branch turns up Douglas Creek was once part of the original GN mainline. The Seattle Lake Shore & Eastern in Wenatchee? ..."The line from Spokane Falls ran almost due westward into the Big Bend country, far north of the line originally projected. 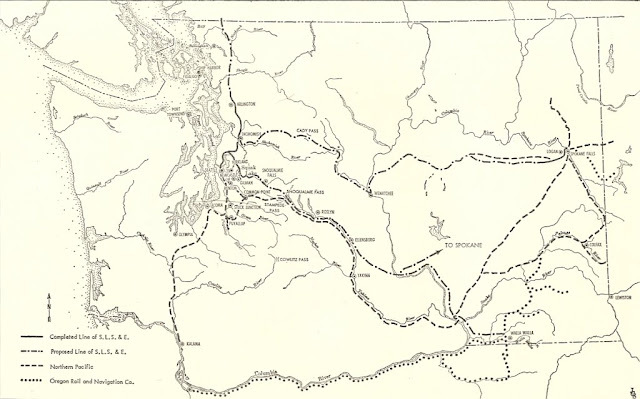 After surveys and a proper interval, the promoters announced the abandonment of the Snoqualmie Pass route in favor of a mountain crossing further north over Cady Pass. This route would use the line of the Wenatchee River on the east side, crossing the Columbia near the Wenatchee's mouth. This move relieved them of the necessity of paralleling the Northern Pacific's Cascade division which now was in use down the Yakima River. But it was announced that the original line would be pushed as far as the summit of Snoqualmie Pass to reach the iron mines there, in order to serve the Kirkland works. "Before the announcement of the new route, a syndicate of Seattle men including Burke, Gilman, and Haller quietly bought up the site of the present city of Wenatchee where the expected Columbia River crossing was to be. The Columbia was navigable for some miles above this point, and a mining boom in the Okanogan country promised to make this an important connection. Although the SLS&E did not survive to reach this crossing, this stroke of business was not lost; the site became the crossing and division point on the Great Northern after the Hill road was cut in for a one quarter interest in the townsite. 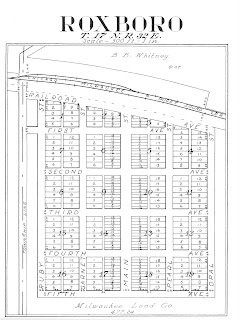 "Wenatchee was the most ambitious townsite plan for which Burke and others connected with the promotion got up syndicates. The judge also had in interest in such a site a few miles west of Spokane, which they christened Logan to honor the general. The site of Logan was not a success; Burke had it rented as a wheat field for many years after." Unloaded last week at Odair by Weilhelm Trucking, Portland---One section of main generator shaft---The largest shaft ever built, this section is 18 feet long, weighs 240,000 pounds, has an inside measurement of 8 feet and inside walls 8 inches thick. It bolts together with two other sections, using 26 bolts weighing 500 lbs each and 26 nuts weighing 150 lbs each. An ingenious method had been adopted for tightening the nuts. Each bolt and nut is preheated before being placed in position, the nut is then threaded and turned a pre-determined number of turns. The bolt is then allowed to cool drawing up the nut so tight that the only way it can ever be loosened is to reverse the preheating process. The hollow shaft is built of special steel which allows the shaft to flex. 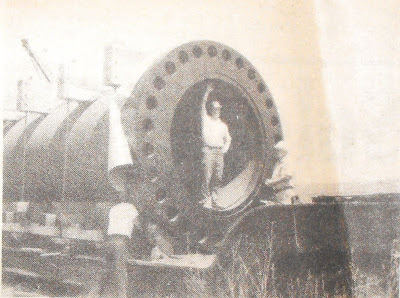 According to Mr. Reekie, West Coast General Manager of Westinghouse Electric Corp., the water wheel attaches to the bottom of the generator shaft and when the water from the 40 ft water tubes hits the wheel there is so much force that the lower end of the shaft twists and begins turning before the top end starts. The flexible feature then allows the top to catch up with the bottom in revolutions. Burlington Northern Inc. handled the shipment from Portland and from Cheney to Odair, speed was limited to 15 mph because of the weight. The special 16 wheel deep well flat car with the shaft weighed 447,000 lbs. Shown in the picture is Skip Connor, BN Agent and John Reekie, Westinghouse Electric West Coast Manager.